Will Copyright Reform be SOPA in Disguise? What does one do in honor of World Intellectual Property Day? For most people the response is to say “wait, it’s World Intellectual Property Day?” shrug, and then go back to other matters (like downloading intellectual property). But if you are US Representative Bob Goodlatte (R-Va.), and you chair the House Judiciary Committee, well, you might celebrate with a bit more pomp! Especially, if that means that you are delivering remarks at the Library of Congress. Let us start by stating the obvious: contemporary copyright laws are a mess, and they do need to be revisited for the current age. The number of works (particularly audio works) that may disappear because nobody is sure who the copyright holder is (and therefore authorized to approve digitization/conservation) is staggering. Most people seem rather befuddled by much of the tangle that is copyright law (I say this as somebody who explains what “Fair Use” means on a daily basis). And something does need to be done to give cultural creators better means of controlling the dissemination of their work (though there are certainly solutions other than tighter copyright laws). 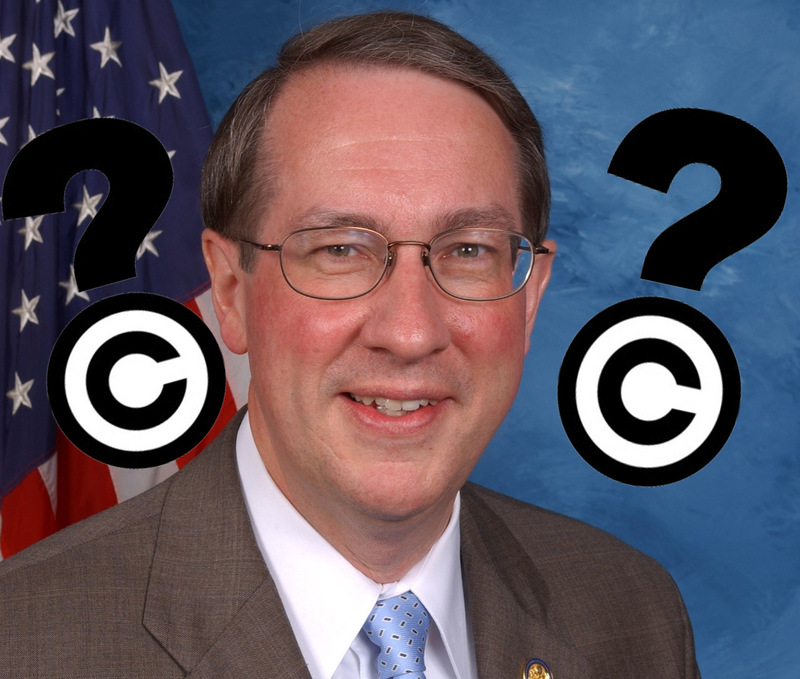 In other words Representative Goodlatte’s basic insight is correct: copyright laws need to be updated. Librarians (and many others) have been saying that for years. Representative Goodlatte was one of the original sponsors and coauthors of the Stop Online Piracy Act (SOPA), and as should come as no surprise he was one of the Representatives who helped CISPA to pass the House (just last week [he cosponsored CISPA the first time around]). So what direction might his copyright review take? And whose opinions shall he solicit? Those do not seem to be the statements of somebody with a goal of broadening copyright to allow a more relaxed understanding of Fair Use (and other) policies. Rather they seem to be the words of somebody who wants to see SOPA or CISPA or whatever it’s going to be called, pass under the seemingly friendly guise of “copyright reform.” After all, he says “prosecuted” not “preserved” for the ages, or better yet, “shared.” Thus the challenge falls to those of us who would like to see copyright updated to benefit the public (and creators [as opposed to just those who hire creators]) to ensure that copyright reform is reform and not regression. Copyright laws in the US need to be reformed, they need to be reformed badly; however, they need to be reformed in a way that benefits the public instead of in a way that simply ensures that a cartoon mouse thought up by a long dead anti-Semite never enters the public domain. And they need to be updated in a way that won’t result in you being prosecuted for making a mash-up video featuring Representative Goodlatte and an advertisement for where you can obtain a good latte. True, all that has been announced so far is Goodlatte’s intention to review copyright laws but this is a conversation that we need to engage with at the outset instead of launching a campaign when the bill is already being voted on. Do you want World Intellectual Property Day (which is actually the 26th) to be about the World, or do you just want it to be about property? Alas, I think we know how Representative Goodlatte answers that question. Pingback: Will Copyright Reform be SOPA in Disguise?